-AND THERE IS NO FACTION IN THE STATE CHAPTER OF THE PARTY. 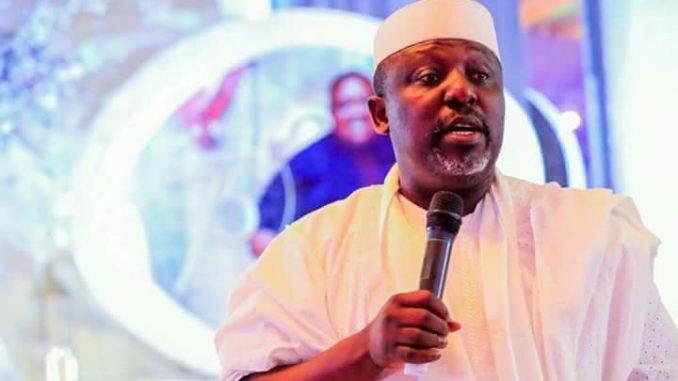 Contrary to what has been read in some sections of the media, the Imo State Chapter of All Progressives Congress, APC, never at any time suspended or expelled its leader, Governor Rochas Okorocha from the Party and has never contemplated doing that and won’t have any reason to think about that. There is also no faction in Imo APC. There is only one APC in the State with Hon. Daniel Nwafor as the Chairman and Owelle Rochas Okorocha as the leader. Any other group Claiming to be a faction of Imo APC must obviously be a gang of 419ers or league of fraudsters who are experts in issuance of dud cheques and collecting billions for jobs not done. The only contentious issue in Imo APC is that the National Chairman of the Party, Mr. Adams Oshiomhole imposed a known PDP member and a known character in the State on the Party as its governorship Candidate, and by so doing, pushing the party and its members to a very tight corner especially when it comes to the issue of marketing a Candidate. 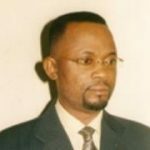 If Mr. Oshiomhole didn’t want the preferred Candidate of members of the Party in the State, Ugwumba Uche Nwosu, for any reason, and if he actually meant well for Imo APC, he would have taken one of the Guber Aspirants that formed the Coalition who are known members of the Party, and who is also from Owerri zone since that was the reason some of them in the Coalition Claimed that made them to leave the government. But the APC National Chairman preferred a PDP man and also from Orlu zone. And he imposed the Candidate on the party and at a time the man was facing charges on corruption. That is the problem with Imo APC and its guber Candidate. Aside this problem, Oshiomhole also told his audience that he has dissolved the EXCOs of the Party from the State to the wards in total disregard of a ruling by Hon. Justice O.A. Musa of the High Court of the Federal Capital Territory Bwari Abuja, delivered on August 14, 2018 in Suit No: FCT/HC/BW/CV/103/2018. In the ruling, Justice Musa stated; “An order of perpetual injunction is hereby made restraining the 1st and 2ndDefendants either by themselves, the National Working Committee, or National Executive Committee from either removing, substituting, replacing, suspending or interfering with the tenure of the 3rdDefendant/Claimant, his Executive and all elected officers of the 1st Defendant contained in exhibits A,B,C and D from their elected offices”. And to the best of our knowledge, Justice Musa’s ruling has neither been appealed against nor quashed. In other words, Mr. Oshiomhole decided to urinate on the High Court ruling when he said he has dissolved the Daniel Nwafor EXCO and has set up the M.O. Nlemigbo Caretaker Committee. One therefore does not need to be a SAN to know that the National Chairman’s action was null, void and of no effect. It was effort in futility and that is why a contempt charge has been filed against him. We are worried that the elections are around the corner and some people who are expected to know better, are behaving as if they have nothing at stake. Governor Okorocha and APC members in the State will deliver President Muhammadu Buhari and other marketable Candidates of the Party. And the party in the State shall outlive these yahoo folks.